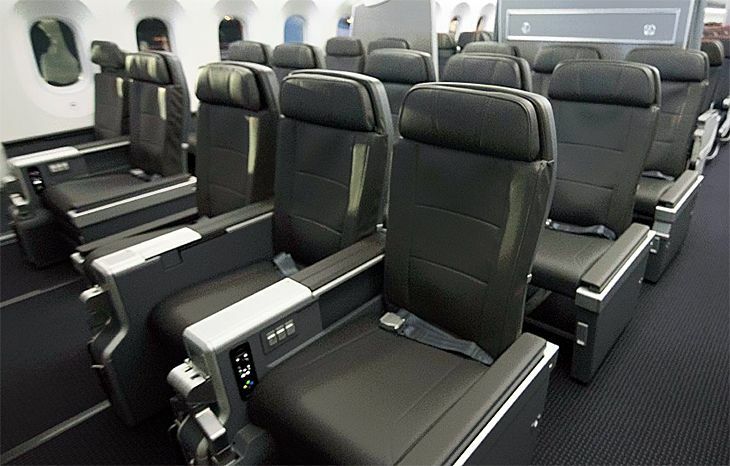 American’s new premium economy seating is currently on 787-9s in select markets. (Image: American Airlines). Now that American Airlines started selling a new premium economy class of seating this month on its first 787-9s, the company has detailed the timetable for retrofitting its other wide-bodies with the new cabin. American CFO Derek Kerr told an industry conference this week that the company will begin installing the new seats during the current quarter on 777-200s. The airline has 47 of those planes, comprising the largest segment of American’s long-haul fleet. Work on those aircraft should be finished by March of next year. During the third quarter, work will start on the airline’s 15 Airbus A330-200s, due for completion in December of this year. Next in line will be AA’s 20 777-300ERs beginning in the fourth quarter and ending by June 2018, followed early next year by its 20 787-8s. American is now estimating that its entire wide-body fleet will have the new cabin by the end of the third quarter of 2018; previously, it had targeted June 2018 for completion of the job. Although it is reconfiguring its wide-bodies with premium economy seating, American is planning to keep offering a Main Cabin Extra option as well – i.e., its extra-legroom seating in the economy cabin. While Main Cabin Extra provides up to six inches of extra seat pitch, AA’s Premium Economy product will offer slightly more – 38 inches, along with extendable foot, leg and head rests; larger touch-screens; and additional services and amenities including one checked bag free. Seating will be in a 2-3-2 layout. Delta is planning to introduce its own international premium economy product later this year as it starts to take delivery of new Airbus A350s. Unlike American, Delta will not continue to offer extra-legroom Comfort+ seating in the economy cabin when premium economy is introduced. 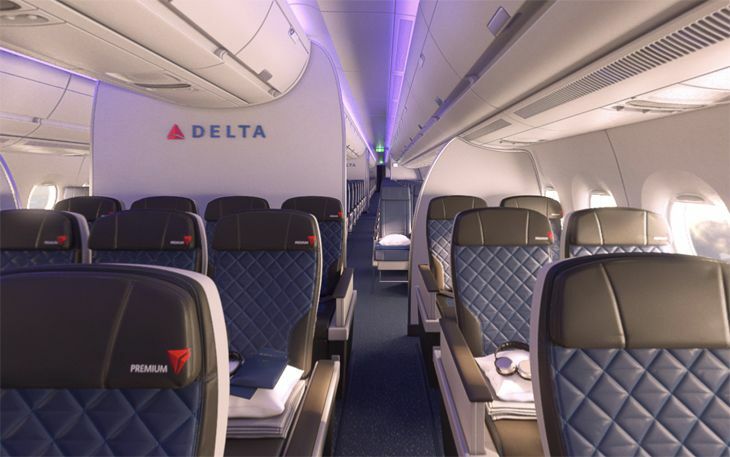 In 2018, Delta will extend the premium economy cabin to its 777s.